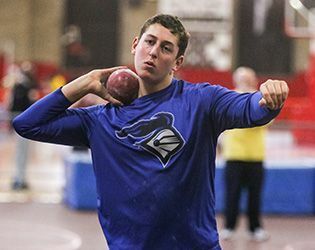 In the Somerset County championship on December 28, junior CJ Licata placed first in the boys’ shot put competition. With a distance of 55-02.25, Licata out-threw athletes from highly-competitive programs, including Franklin, Hillsborough, Montgomery and Ridge. Another highlight for GSB came in the boys’ 800 meter run where senior Matt Petit placed sixth with a time of 2:07.78. At Gill, Licata and Petit compete in track and field during the winter (indoor) and spring seasons. Petit also runs cross-country in the fall. The team is looking forward to the East Stroudsburg University Invitational on January 6. Congratulations to our athletes. Go Knights!